“When we were starting to think about selling our home of many years to downsize, John helped us with a substantial, creative "touch up" of an earlier, somewhat tired landscaping plan. He was fun to work with, listened well, and helped us come up with a good and affordable plan. His knowledge of plants is extensive and, like me, he likes unusual plants. We asked for less expensive alternatives for some of his first plant suggestions, and he readily came up with good and workable ideas. His crew was excellent and nothing escaped his watchful eye." "I can't say enough about how much pleasure the space John created in our back yard has given me. It's hard to conceive now of how I tolerated the former exposed, barren, noisy patio area. I never tire of sitting outside in the peaceful, lush, now naturally enclosed and private setting. The colors are gorgeous, the grasses, rocks, japanese maple, flowering bushes and pavers combine to make a Zen like, yet Italian feel--exactly what I asked for. I start my summer days with coffee outside and end with a glass of wine outside as the sun sets and I feel like I am on vacation." "John Beaudry has the gift of vision. Over 20 years ago, John transformed my ordinary and neglected yard into a park. Today, its graceful, curving beds still have perfect appeal!" "John is a great designer. He is very creative, professional, and has extensive knowledge of perennials, shrubs and trees unique to your region. He is easy to work with, kind and flexible. Your garden will have a natural look, an artist’s touch, and will be impressive and unique for all to enjoy!" John and his team take great care of our property! John is a incredible designer I love working with him he is super responsible and has his own way of making sure everything is done! I love working with John. His design was wonderful. Everyday I come home to an amazing garden that attracts butterflies and hummingbirds and it is low water. It is pretty low maintenance, but John and his crew also service my garden. It is just wonderful! I met Joh. Whe he worked for another company and that guy was rude and frog ant and pushy. I was so happy when John began working for himself. John and his team are fair, polite and easy to work with. I am also crazy about his dog!! I,d hire him again in a heartbeat! John Beaudry designed and landscaped our back yard. We conferred several times and John listened to what we thought would be suitable for our yard. (i.e. low maintenance, dought tolerant but with colorful flowers). It was amazing the transformation of our back yard. It has a dry river bed which John adapted from his study of Japanese landscapes and enough color that is literally maintenance free. I absolutely love our backyard. I couldn't be happier. In addition to the design, John's company maintains the yard for us. It really looks stunning, especially after he has been here. He just has that magic touch. john BEAUDRY designed my garden at 100 east Huron St unit 1107 CHI. IL. John works with you to bring about the best possible results for your project and size yard. I'm very happy with his work. 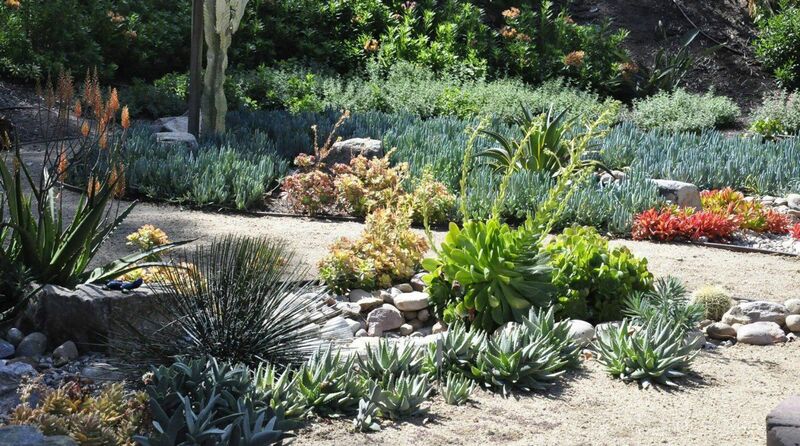 "We are very pleased with the native plant garden John designed for us. A native garden pursues an evolutionary path all its own. Some plants tried to take over, especially in the parkway where they get a lot of sun. So we've had some time "controlling" our tiny prairie. The sumacs and the variegated elderberry and I have achieved a satisfactory truce - I prune the hell out of them in the dead of winter and then leave them alone. The meadow roses insist on growing in nice mounds. I gave up trying to train them and just prune them after they bloom (following John’s instructions) and then simply poke the wayward vines back into the mounds.